As ebooks become more popular, libraries and publishers have entered into new and often contentious relationships over ebook loans. Public libraries, in particular, face significant limits. Unlike the usual experience, libraries have to pay lots more for ebooks than they do for printed books. 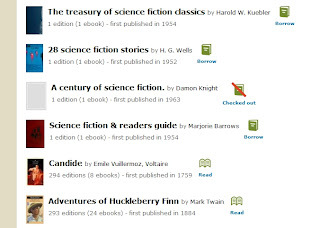 Apart from having to invest a lot of money into setting up a lending platform, two major publishers won’t let any of their books be loaned in digital format, two won’t let libraries loan recently-published ebooks, one deletes ebooks after 26 loans, and one charges libraries three times as much as individuals – all for books that can only be loaned to one person at a time. Academic libraries are in a different situation. Publishers are more willing to let libraries purchase access to ebooks, but there are many different platforms, and many of them are lumbered with technology that is not convenient to use. Until we have more demand for ebooks and suppliers can provide us with easier-to-use systems at an affordable price, we aren’t hurrying to add lots of ebooks to the collection. Except that Brewster Kahle of the Internet Archive had this intriguing idea . . . and we signed up. In a nutshell, the non-profit Internet Archive has started an ebook lending library that offers a new approach to ebooks. Member libraries donate books that are scanned using the Internet Archives’ home-grown scanners. 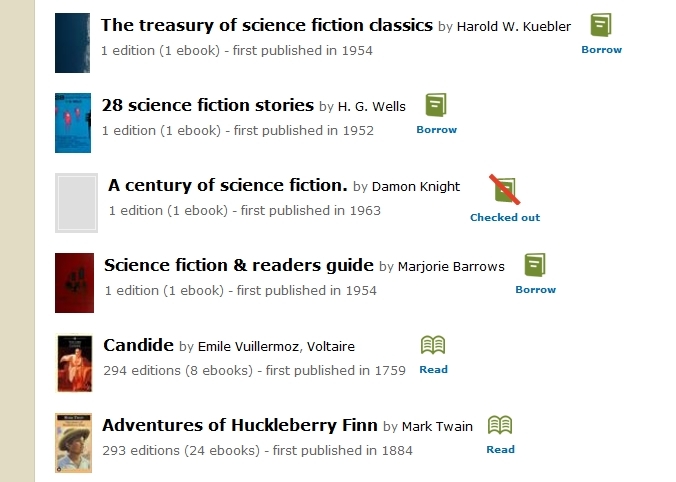 The digital files can be borrowed by anyone at the member libraries in either PDF or ePub format. (EPub is the standard format used by Nook and other readers, but not by Amazon’s Kindle, which uses its own proprietary format.) To borrow a book, you have to create an account with the Open Library and you need to be on campus, so that your Gustie credentials will be recognized by your internet address. When a book is digitally checked out by anyone at a member library, it’s unavailable to others until it’s returned. The books in the Open Library collection are not ones that are in high demand. You won’t find the latest bestsellers here, or academic books published recently on hot topics. We wanted to be part of this effort mainly because the folks at the Internet Archive are pioneering a model for ebook loans that we think is interesting – and we can be part of it at no cost to us other than a donated book.